Create a unique loyalty program to reward regular customers with exclusive discounts. Use flexible shopping cart rules to generate targeted offers and boost sales. Why implement a loyalty program? At a highly competitive market where customers have thousands of online stores to visit, loyalty programs are an effective tool that increases customer retention and boosts profits. With the Loyalty Program for Magento 2 extension you can easily build a flexible rewarding scheme to provide your clients with numerous relevant deals and targeted discounts. Clearly describe loyalty program conditions and display them right on the customer account page to stimulate shoppers return to your store and purchase more. The Magento 2 loyalty extension lets you use flexible conditions based on order and customer attributes as well as on purchase history to reward regular customers with additional discounts. Take advantage of multiple cart price rules actions to easily create hot deals for different loyalty program levels. Visualize the benefits customers will receive on each step of your loyalty program. The more profits they see - the more appealing is the idea to become your partner. You can choose either to display a banner for all products at a time or for certain product categories or separate items. Find the best way to catch customers' attention: show these banners separately or combine them with top banners. Vivid labels will drive additional attention to products. Reach even more precious results due to their synergistic work with banners. Add customers to corresponding groups according to their purchase behavior. With the extension you can use the groups as a basement for your loyalty program levels and reward shoppers from each group accordingly. 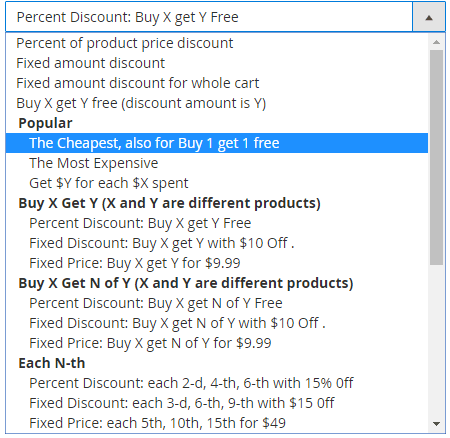 Generate discounts based on customer order amounts to reward shoppers for making purchases in your store. Retain existing clients and attract new ones by creating tempting offers for those who purchase more. To show your attention to the most loyal customers you can easily create individual promotions with personal coupons using such customer attributes as email address, last name, TAX/VAT number etc. To motivate shoppers get authorized simply limit the access to special offers and discounts for guest visitors. Make the bonuses available only for customers with a long membership history (membership days attribute) to effectively apply 'Best customer' marketing strategies and maximize your ROI. In a discount breakdown, a customer can see the name and amount of all the applied loyalty program discounts. It's become extremely useful if you have multiple promotions on your store. With a discount breakdown you can clearly show for what a client get a discount. With 16 additional cart price rules actions you can easily create a great variety of promo offers for different loyalty program levels. Exploit promo functionality to the full to increase the average order amount with minimum advertising spends. 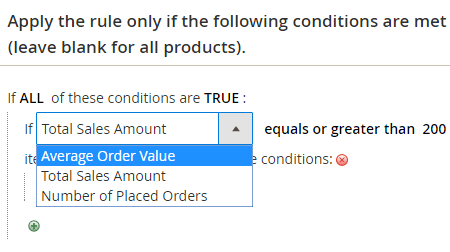 The Magento 2 loyalty system settings let you include a free shipping into any level of the loyalty program as an additional incentive for customers to keep purchasing in your store. 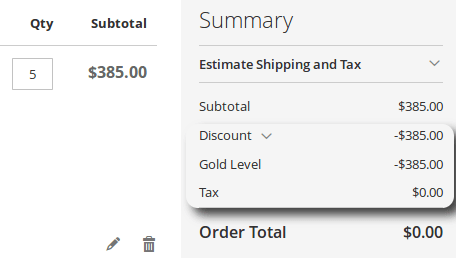 With the magento 2 customer loyalty extension you can display all reward program details right on the customer account page to describe all steps a shopper needs to make to get a discount. Use WYSIWYG editor and catchy images to make the scheme easy to perceive. 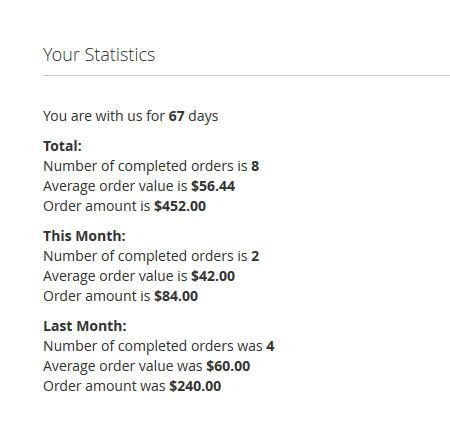 The Magento 2 loyalty scheme tool shows statistics on customer purchases for previous and current months. Due to the detailed stats data customers will easily keep track of their spends and will see how much they need to purchase in order to get and extra discount or to be moved to a higher loyalty level. This module is enough to handle a full-fledged loyalty program, no need for CXM or extra loyalty solutions. There are many promotional options, you can work with different groups and inform customers about your loyalty levels. Yet configuration was not that easy. We had to contact support team several times. Now everything works fine. In our webstore we sell organic cosmetics. This module allowed us to create a multistep loyalty program. Agree that there are many features and you will need to linger over it to configure everything right. However, when it's up and running is really a good module for its price. Good functionality for its price. We have managed to increase our e-commerce conversions rates approximately by 10 % in a couple of months. Recently, we have experienced more engagement from our customers.